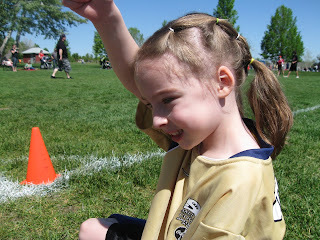 I (substitute) coached my first soccer game this week. Was I the best coach to ever step foot on the pitch? I'll leave that to the sports historians. But I will say that Paige's first question to me was, "Why are you coaching my team tonight?" Well, my dear, someone needs to bring this team back from a null-3 deficit to eventually tie the game, just as time expires. Either way, I feel like I left the field with my legacy intact.